Year-end fundraising is a crucial time for many organizations; nonprofits bring in anywhere between 24% and 49% of their total annual fundraising dollar through their EOY appeals! This year, we bring you the Salsa Labs' EOY Campaign Messaging Tip Sheet, a rundown of basic best practices you want to be sure to follow in your year-end online outreach. 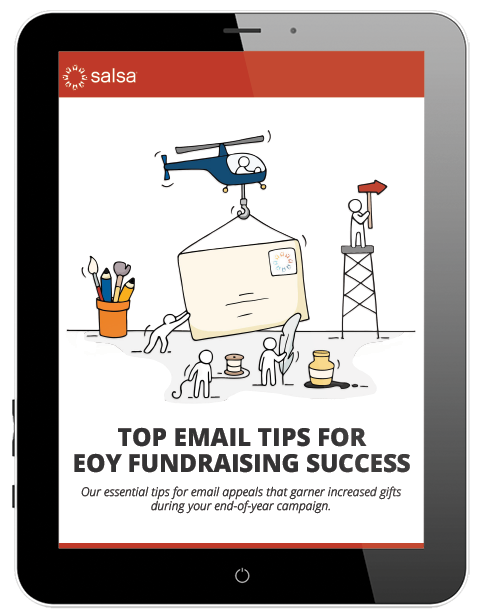 We've also included 8 free professionally designed email templates (requires Salsa Engage) to help you build visually engaging and mobile-friendly emails that bring in fundraising dollars!